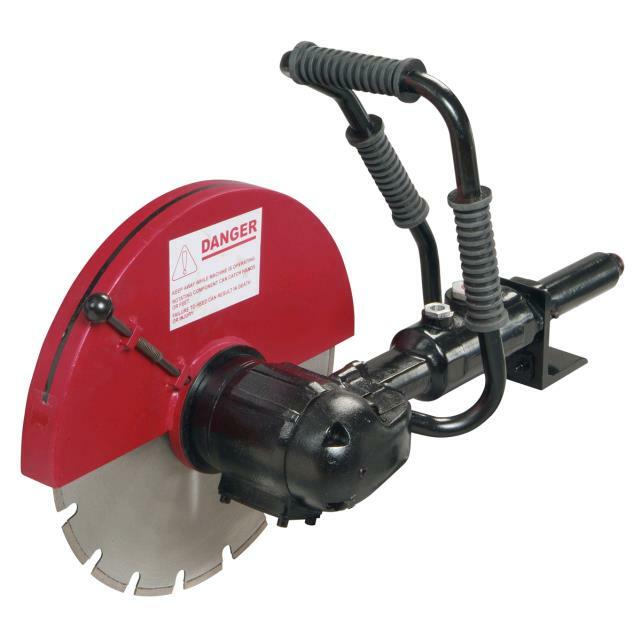 Chicago Pneumatic 14" Cut Off saw is designed to cut a variety of materials including concrete, asphalt and stone with applicable blade rented or sold separately. The pneumatic drive makes it especially suitable for indoor applications where gasoline units are difficult or impossible to use. 4 hp air motor requires 85 cfm to operate. 14" blade guard accepts 12" or 14" blades with 1 " arbors. * Please call us for any questions on our saw concrete air 14 inch rentals in Portland OR, Gresham OR, Milwaukee OR, and surrounding metro area.